The Macomb C.U.S.D. 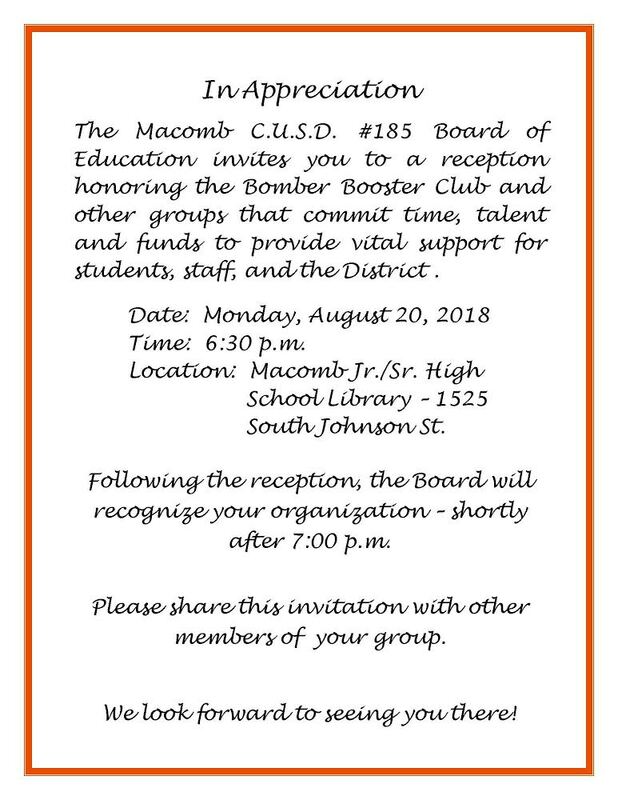 #185 Board of Education invites you to a reception honoring the Bomber Booster Club and other groups that commit time, talent, and funds to provide vital support for students, staff, and the District. Location: Macomb Jr./Sr. High School Library – 1525 South Johnson St. Following the reception, the Board will recognize your organization – shortly after 7:00 p.m.